Love, ChloeSome scents remind you of things and times and some, instead remind you of feelings, moods and a sensibility of spirit. Chloe Love is one such perfume. It is a light, sweet and fresh but more an aura you wear than a perfume you spray on. The packaging itself is gorgeous, Chloe signature: elegant, feminine – almost ravishing. The glass bottle is yesteryear and today, featuring a pinkish gold trim and a chain to attach the cap. It bespeaks wealth and a woman who has classic taste. In essence, the Love, Chloe aura is apparent even at a glance. What does all this add up to? Love, Chloe is romantic, slightly wistful, like the memory of a lost tryst many springtimes ago wherein you left some fellow or he left you, just before the love affair could quite blossom, leaving a sweet memory in its wake, the fleeting heartbeat of potential, along with the scent of your dignity and pride intact as you remember your elegant retreat. More than that, Love, Chloe is one of those amazingly balance perfumes that incorporates sweet florals on a backdrop of musk in a way that is at once fresh and gently powdery so it is light and warm at the same time. 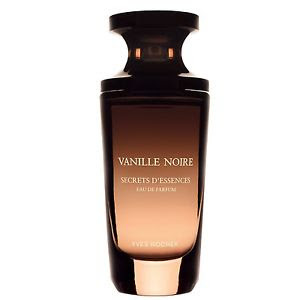 It captures the scent and spirit of a boudoir after the woman who has done her femininity mis-en-place has vanished; overall it’s light but indelible. This is not a long-lasting perfume which makes it fine for day wear and first dates or a signature scent. The Orange Blossom (neroli by any other name) offers a cloud-like opening that paves the way for the florals and sweetness that follows. To me, this is a new classic.